In 1873, Solomon Pool, of Chapel Hill, North Carolina, at the time a principal of a school in Cary, NC, patented a small and handy adding machine (US patent 143184) (see the lower image). 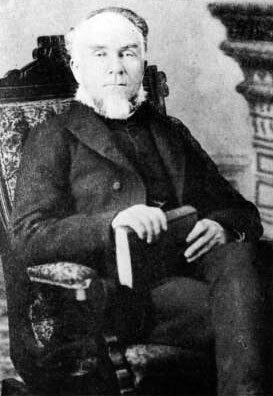 Solomon Pool (1832-1901) (see biography of Solomon Pool), educator, University of North Carolina president, and clergyman, was a member of one of the most prominent families in Elizabeth City, NC, in the 19th century. His father, Solomon Pool (1787-1832), was a wealthy slave holding planter in Pasquotank County. 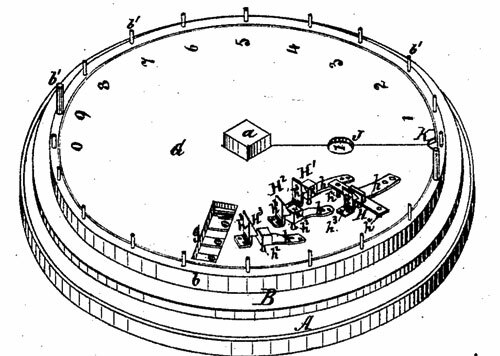 The adding machine of Pool is a cylindrical adding device with numerical capacity of 999 (although Pool mentioned that a ring for thousands, or rings for any number which represents a power of ten, may be employed). The input and zeroing of the device was made by rotating of the rotary plate B, b, b', which can be rotated in both directions. The tens carry mechanism is implemented by means of a pawl, witch catches a ratchet-tooth, and carries the motion to the next ring.